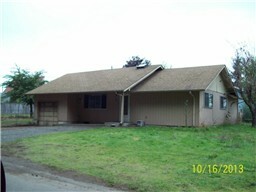 Nice 3 bedroom 1 1/2 bath rambler on corner lot. Detached sheds. Bonus room over garage. House has potential.